"We love dailycut so much! Their portions are ge..."
"The food was good and the portion was large eno..."
The Daily Cut is one the fastest growing restaurant in Singapore. Though it has only recently opened its doors, The Daily Cut has made its name to their hungry customers. 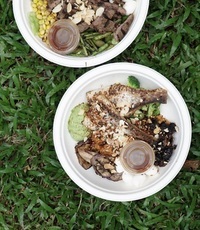 It took off by serving mouth-watering protein salad bowls that is much loved by their busy customers. 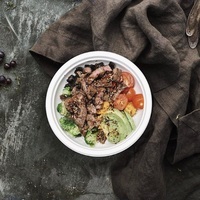 The Daily Cut uses high quality and fresh ingredients for their dishes and is also one of the highly recommended caterers in Singapore. The Daily Cut aims to build a good relationship with their clients. The Daily Cut believes that mouth-watering food should be the highlight for any occasion. They also placed strong emphasis on food hygiene especially during food preparation. The Daily Cut is popular for office lunch, packed meals for meetings or seminars. 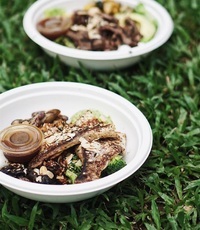 The The Daily Cut catering menu features salad bowls good for lunch varying from Western to Asian with a selction of proteins to your salad. They're sure to be a favorite at your next event or party, so make sure to treat your guests to The Daily Cut . The Daily Cut also offers various meal options for their clients based on their budget, volume and delivery time. 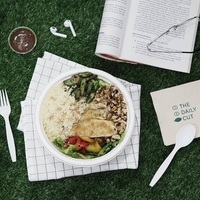 Some popular dishes on the The Daily Cut catering menu include their Petite Bowl which includes a Includes half protein of your selection, one carb base, two supplements, one topping and a dressing of your choice. It makes food simple and clean. With our experienced chefs and passionate team, you will definitely be satisfied with our menu and services. Looking to get The Daily Cut delivered to you? The Daily Cut delivery is available for breakfast, lunch, afternoon snacks and dinner. 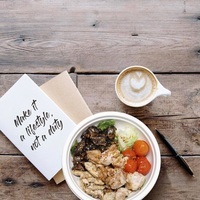 Make sure to check their schedule for delivery times, which is usually everyday except Fridays and do note that their menu requires 2 days’ notice for placing orders, so don't be disappointed! Thanks to Caterspot, you can have The Daily Cut to cater to your needs and preference. You can simply place your order via our website. Alternatively, you can also call our hotline. Our friendly staff will be pleased to assist you with your booking or any inquiry. 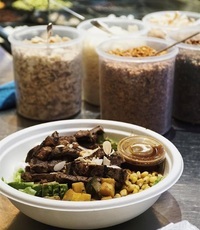 In Caterspot, we provide a seamless experience and convenience to our clients: once you have placed your order, you can count on us to deliver mouth-watering, fresh The Daily Cut catering menus to your location.